Introducing the Feed a Family Project! While we processed our harvested grain this fall, we contemplated how we could continue our research while also supporting our community with healthy food at the same time. We came up with the Feed a Family Project, an undertaking that will not only create funding for our project but also provide food for families in need in our community. Participants of the project sponsor a Grow Biointensive bed for $500. The sponsorship goes towards all of the costs of growing and maintaining crops in a 100-sq-ft Grow Biointensive bed and also supports the research and development of crops and the demonstration of Grow Biointensive principals as part of the whole of our research and demonstration Mini-Farm. Sponsorship is open to individuals, like-minded organizations and community oriented businesses that wish to support our work and impact a family in need! For the entire growing season all food grown in each sponsored bed will go either to a specific family in our community chosen by the sponsor, or to the food bank for distribution. Families will receive weekly and bi-weekly food from crops like kale and lettuce, and when harvested more calorie-dense foods like potatoes, barley and Quinoa. To maintain sustainability and follow Grow Biointensive principals, the food produced in each sponsored bed will be shared equally among all families, with each receiving one tenth of the harvest. In this way we will grow six beds of calorie and compost crops, such as barley, oats and quinoa, three beds of area-efficient crops such as potatoes, garlic and leeks, and one bed of nutrient-dense foods such as kale, peas and carrots. Once established our hope is that the Feed a Family Project will become a blueprint and foundation for a new kind of community-supported-agriculture (CSA). We will establish a system that doesn’t rely on a single large farm to produce food for many, but rather relies on many small gardens sharing and supporting each other. CSAs can work together to feed great numbers of people and raise money to grow and expand. We plan to lead by example and create the framework needed for more people to grow food for each other. With the right crops and the valuable data we collect we can increase local food security, together! Once established, will share this blueprint with our international colleagues like Sammy Kangethe. 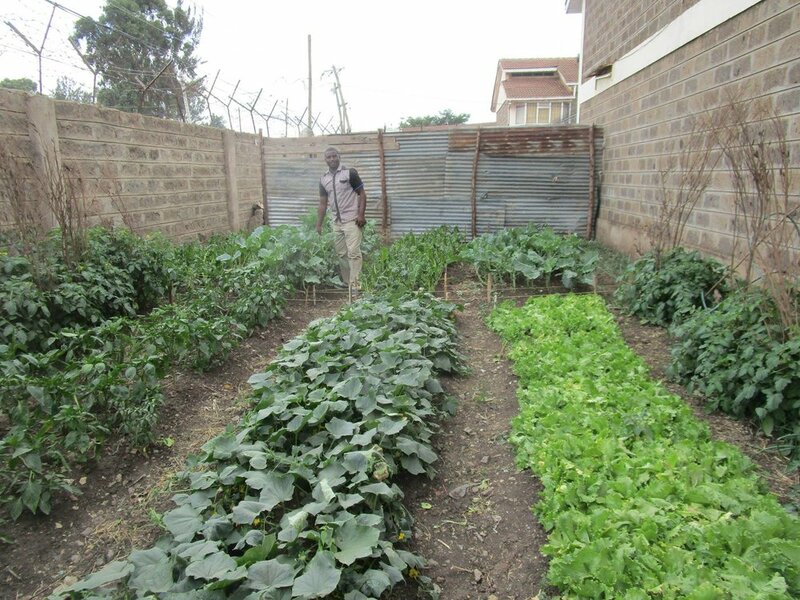 He has founded a research and demonstration site in his home country of Kenya: the Community Empowerment through Sustainable and BioIntensive Agriculture project, or CESBA. The Feed a Family Project will help our partner organizations raise funds, supporting their research and also helping them to feed their community. As a global family of Grow Biointensive teachers we can continue to educate and empower the people in our communities, and feed them at the same time! To measure our success we’ll be collecting data every step of the way. We record all inputs in to the beds, including organic amendments, compost, exactly how much water we use, and time required daily to grow the food in each bed. We’ll also record all yields of food and biomass produced, and track the compost produced to gauge our long term sustainability. With this valuable information we will be able to show the results of Grow Biointensive farming, and demonstrate how few resources are needed to produce an abundance of healthy, organic food! What can food recipients expect? Because Grow Biointensive focuses on growing a complete and nutritious diet, the variety of crops grown will not all be ready for harvest at the same time. 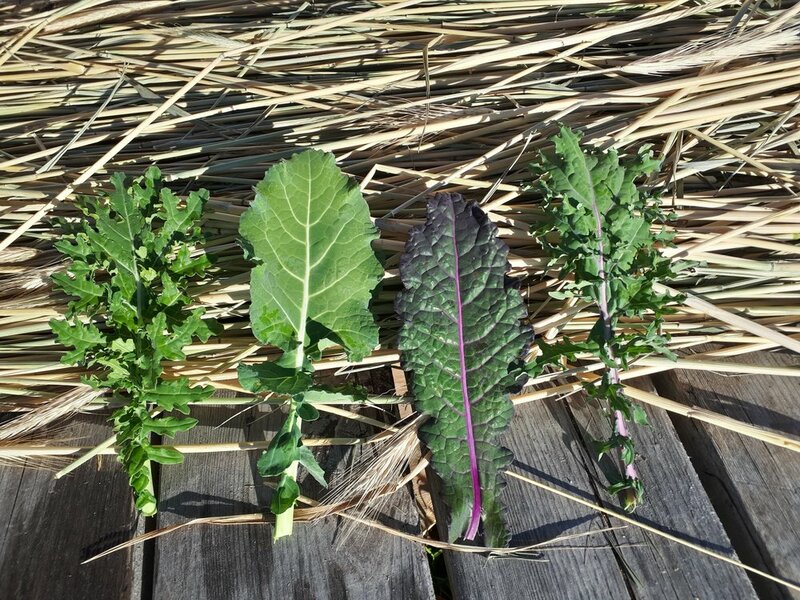 To start families can expect a weekly and bi-weekly box of Kale, Salad Micro Greens, Radishes and Peas. A little later in the season we will be able to include beets and carrots. At the end of the summer we will have our root vegetables to offer; packed with calories and crops that will store over winter. They include Potatoes, Garlic, Leeks and Parsnips. Finally, during fall our spring planted grains will mature, offering a bounty of nutrition in the form of Quinoa, Barley and Oats. Whether cooked whole, milled in to flower or rolled in to flakes, grains provide serious calories and nutrition, and will keep indefinitely! 20% of available beds are sponsored! Thank you for your generous support!